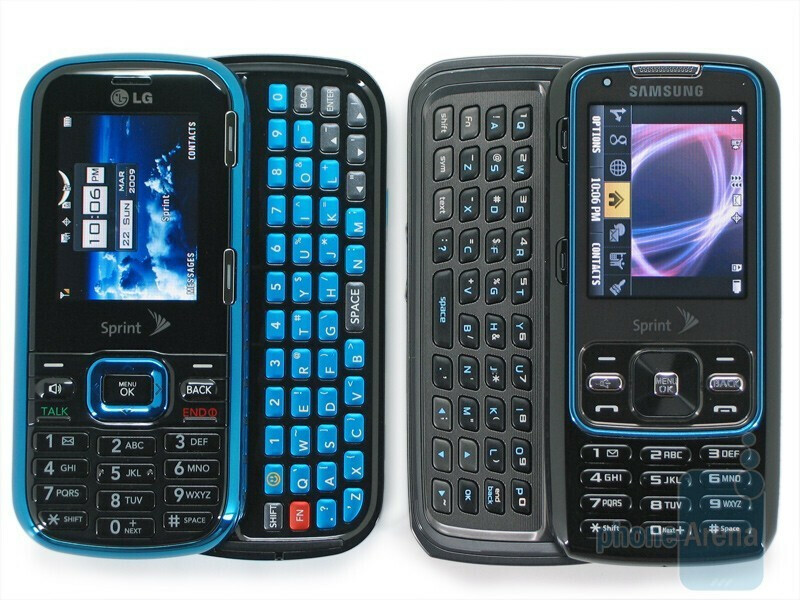 The Rumor was a huge sales success for LG and Sprint, bringing QWERTY to the low end. 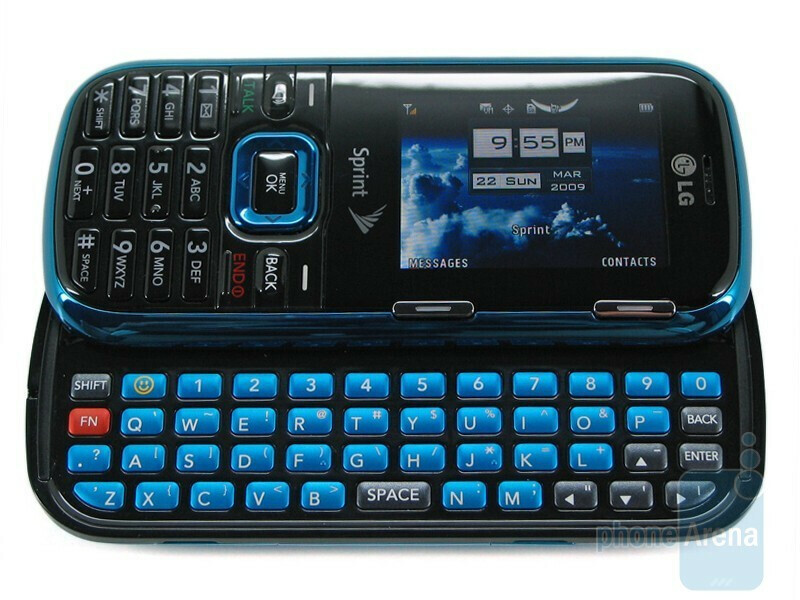 It was not without issues however; LG’s charging port was notoriously bad, the keyboard and display had a tendency to go bad and the device continues to have a power cycling issue. Nearly a year and a half later LG has brought the Rumor’s successor to market, the creatively named Rumor 2. There isn’t much new with the device, most notably it has brought a fourth row of keys to the slide-out keyboard. 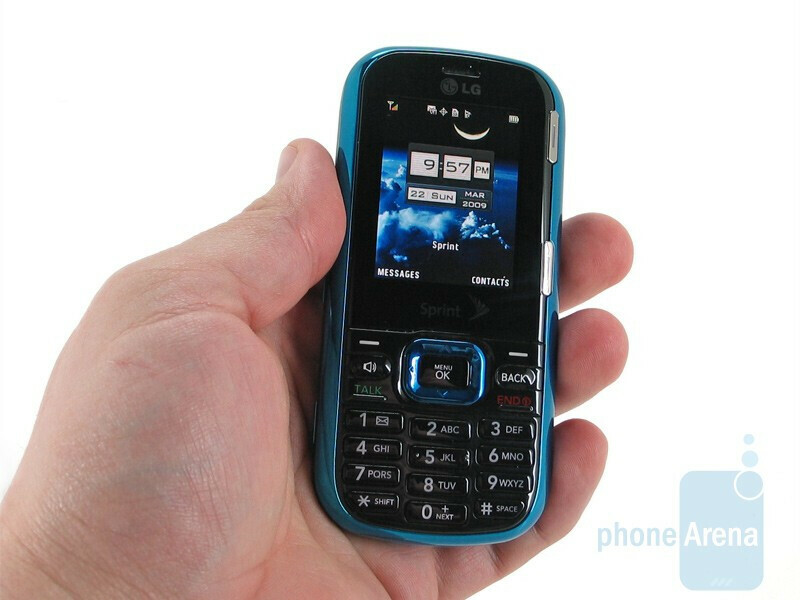 Other features remain the same: 1.3 megapixel camera, microSD expansion and 1x data. You can compare the LG Rumor 2 with many other phones using our Size Visualization Tool. 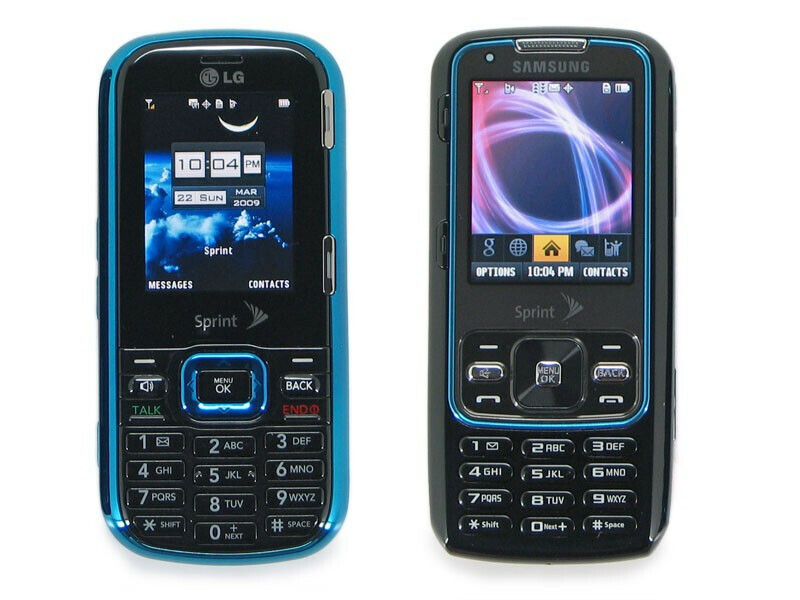 The basic layout of the phone is the same: the 2” display sits atop a traditional set of navigation keys and numeric keypad. Besides the soft and send and end keys there is a dedicated Speaker and Back button on the front, along with soft keys along the right side of the display for when the orientation switches to landscape. The display has been upgraded to QVGA, a welcome addition. It looks very crisp and is easy to read in all lighting conditions. The slide opens to the left and the user is treated to a four row QWERTY keyboard. Unlike the Samsung Rant, the Rumor 2 dedicates the extra row to numbers. While we enjoy a dedicated keypad, having the space bar as part of the bottom row of letters just doesn’t feel right to us. 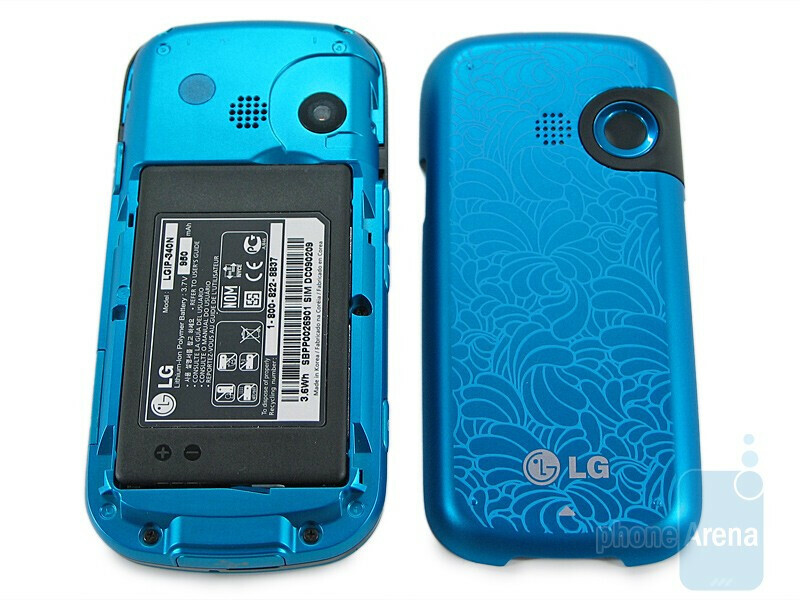 LG is by no means the only one to utilize this layout, but we prefer the one used by Samsung. The left side of the phone houses the volume rocker and camera key, on the right you will find the 2.5mm headset jack and microSD slot. The bottom has the microUSB charging port. One gripe we have is that the included AC adapter is not a USB cord like we saw on the Lotus, Dare and Versa. 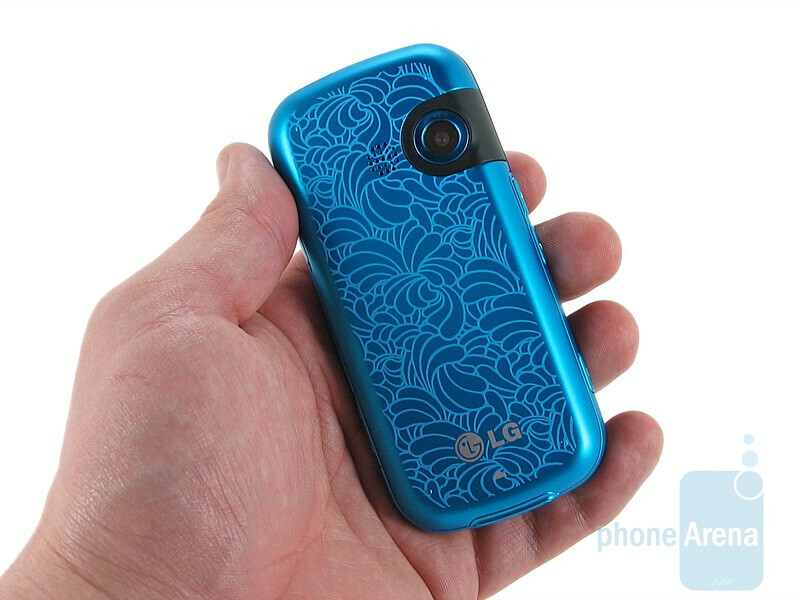 The back of the phone is plain save the 1.3 megapixel camera that is offset to the right. Like the Rant, the Rumor 2 ships with one solid color battery and another patterned one. The redesign gives the Rumor 2 a more modern look and the feel is good. The bold colors reaffirm its teenage target market, it no doubt will be a common sight in high school hallways across the country. The only reason someone would choose the Rumor 2 is because it lacks the OneClick interface, so no accidently browsing the internet (if they don't have a data plan)... Thats the only reason I can think of. It comes down to personal preference. The Rumor2 has a much bolder design than the old school squarish looking Rant, which also uses some cheap feeling plastics. 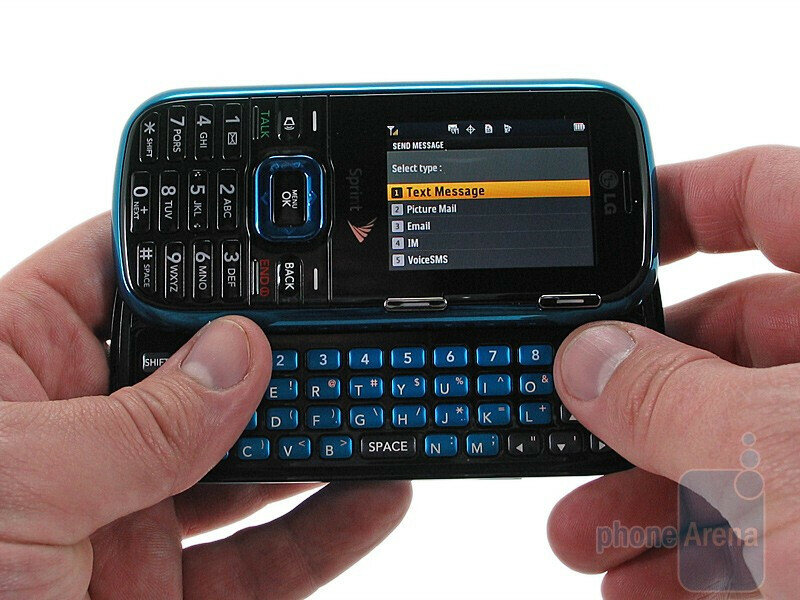 I am a texter and texting has little impact on whether the phone has EVDO or not. I really like the piano gloss finish of the Rumor2 and the bolder Blue (and grey accents on the grey phone), rather than the dull matte backplate and keyboard of the Rant. The Rant also feels a little more piggish in my hands for some reason and I like the Rumor2's roundness. Again, these are personal reasons, but the Rumor2 suits my needs just fine. Agreed with the 2nd comment. They rated it so low in comparison to the Rant...which does have more features. But as the 2nd comment states...if you are just using the phone to txt and make calls there is no difference between the phones as the EVDO feature has little, if any, impact on phone calls, reception and txting. They gave it good ratings for battery life, reception and feel/build quality. Plus I like the style design of the Rumor 2 (in black and chrome) better than the black and blue of the Rant.